This hike is becoming an annual tradition for me and I'll take it. Every year, my buddy and I are trying to get up to his aunt's remote cabin in the winter. Anyone we know is invited, but they must brave the cold and trek across the frozen lake. This year, it was just the two of us because it was rather last minute, but hopefully we'll get a good annual group going sometime each year in mid-February. We hit the lake at sunset, getting to the cabin at dark on the first night. You always go into this trip not knowing exactly what to expect, as the area is pretty remote. We arrived at the spot where you can safely park, unloaded, and followed a snowmobile trail down to the lake. 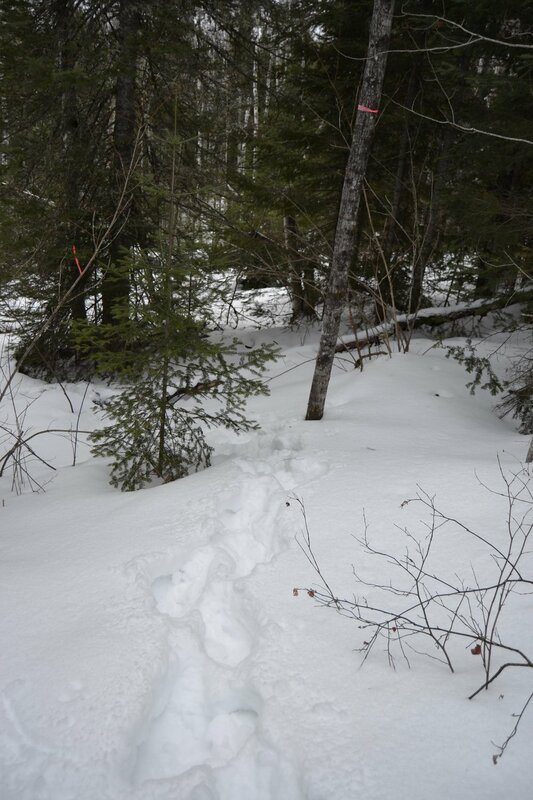 From there, we had pretty smooth sailing with hard, crunchy snow and no need for the snowshoes. 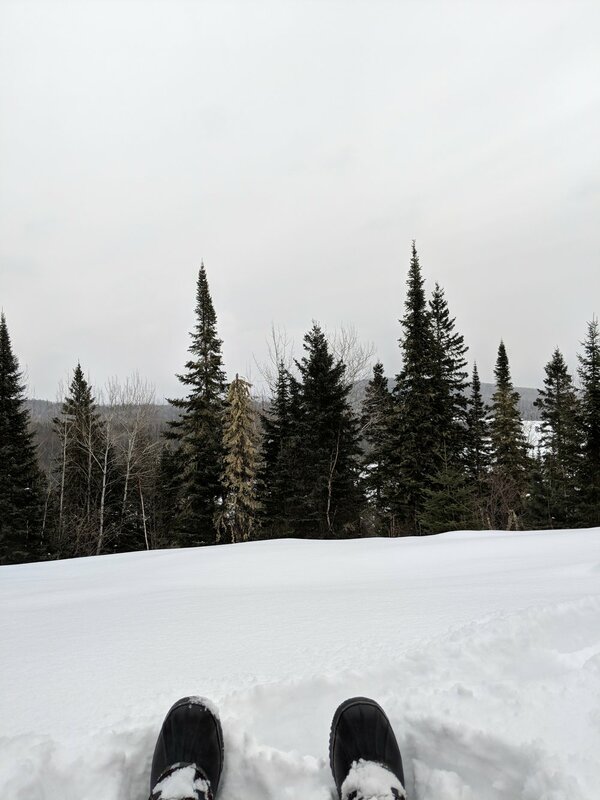 Once to the cabin landing, we have a huge hill to hike up and there was only about 8-12 inches of snow there, which is relatively low and made for an easy climb with our sleds. The cabin has no modern amenities, no frills, and no mercy. There is a good wood stove, an outhouse, and it's bitter cold for the first few hours upon arrival. After getting the place warmed up, it's cozy and great for drinking your favorite cocktail, playing board games, or reading a book. On Saturday, we trekked up to a ridge just beyond the cabin. 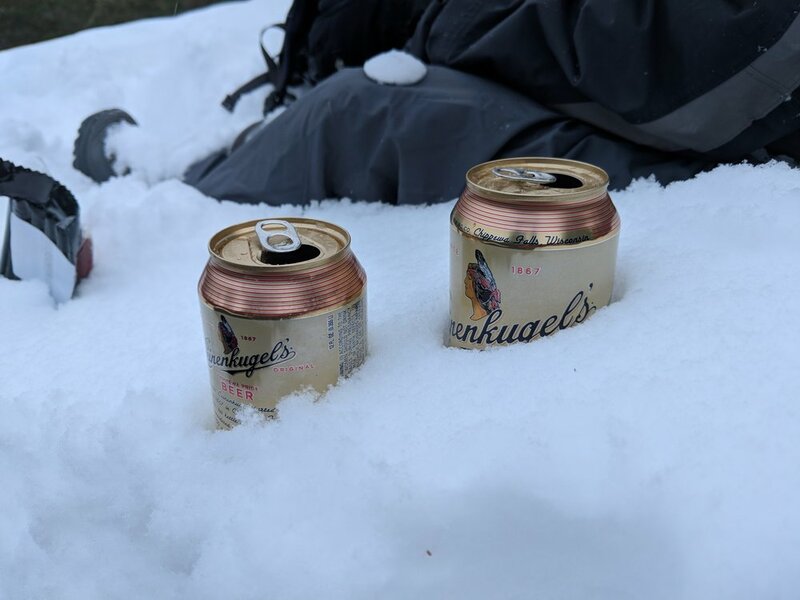 The hike is through the woods, without any real trail, and the snow level was manageable in most places, and was a nice way to break up the day. Temperatures upon arrival were near 30 degrees Fahrenheit, but fell to -10 by the time we left. 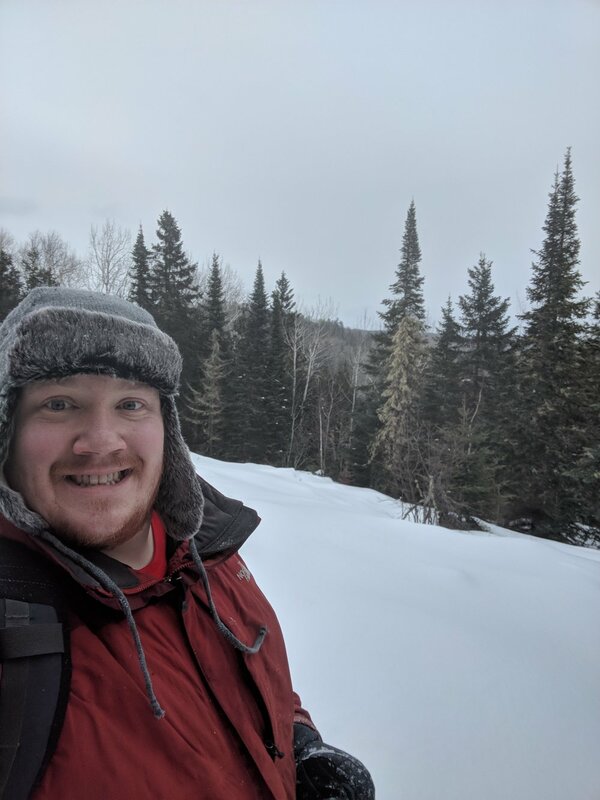 Last year we hiked across the lake from the cabin landing to another lake, on the edge of the Boundary Waters Canoe Area Wilderness, but this year we just didn't make it for some reason or another - probably the temps. On our last morning, we attempted the "throwing hot water in the -5 degree air" thing and that was pretty cool - I did my best to capture a photo of that below. For more background info and a more detailed account of previous cabin adventures, check out my last trip here. I hope you all have great hikes this week and happy trails!